At birth, we begin life as truthful, open, curious, and creative beings. As we grow older, our wings may be clipped by dysfunctional family and social systems. Building layer upon layer of self-protection in order to negotiate such social systems. Building layer upon layer of self-protection in order to negotiate such social systems, we learn to cut ourselves off from that original expansiveness. In essence, many of us go through a sort of reverse metamorphosis: we start out as beautiful butterflies, and turn into caterpillars. 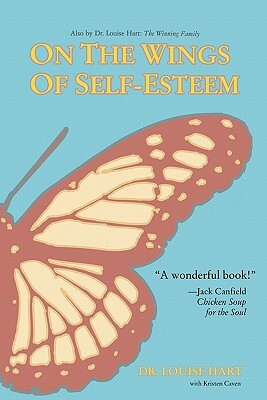 It is the goal of this book to help you become a butterfly again. Working with the uplifting metaphor of a caterpillar's metamorphosis, Wings explores three stages of personal transformation in this user-friendly book: Reaching In, Reaching Out, and Reaching High. Through these stages, readers learn to listen to themselves, accept themselves, set personal boundaries, and formulate goals, and each chapter offers exercises that explain exactly how to do this. Once emerged from our former cocoon, we are ready to approach the world anew, armed with the self-esteem necessary to soar. Dr. Louise Hart is a community psychologist who has raised two sons and a daughter. Author of The Winning Family, she was a leading educator in the area of self-esteem development, conducting seminars and workshops for thousands of parents and educators nationwide. Her focus has been the promotion of environments in which children thrive and learn the skills necessary to become healthy, self-directed, and loving adults. She wrote this book for adults who wish to improve the quality of their lives and relationships.